I received an e-mail message yesterday from eCore that I was one of their students that is “shining brightly”. They informed me that they would like for me to share my story. It is an honor to be identified as succeeding after a long dry spot. I am currently 28 years old. My mother says I am her brightest child, but also her late bloomer. She will be pleased to hear of this recognition. I am now a bloomer with the help of the eCore program, administration, and understanding professors. I graduated from high school with high honors after losing the remainder of my hearing. My sister and I were both born legally deaf. Nothing has ever been easy for us. During my senior year of high school, I began to experience severe depression and was diagnosed with clinical depression. Intervention was in place. I received support through medical doctors, therapists, and my family. I attended a large university, well actually two large universities, with full scholarships before being admitted to eCore. The problem was I was not ready for the large university, and they were not ready for me. The transition from home to the adult world of college was difficult with my now two disabilities, deafness and depression. I did okay for a few weeks and then things started to spiral down. After packing up and closing the doors on these university experiences and continuing with therapy and medicine, I found eCore and it has truly been a blessing for my family and me. I am able to pursue my degree in Criminal Justice with an emphasis on Cyber Crime fully online and on my schedule. I am nearing the end of my core program at eCore ,and I almost have my Associates Degree from Valdosta University. I am looking into the online program for my BA. The eCore experience has been challenging and has renewed my confidence in myself. I am thankful for my professors and eCore. 3. Why eCore? Online and flexible hours. 5. What is something cool you've learned this semester in eCore? POLS has been fun. I have learned so much. We actually did collaboration work and created a Mock Election with a “made up” candidate. Government is very interesting and Professor Roger Marietta is very active in discussions. He called me one night about 10 and asked if I was a procrastinator. He wanted me to take the 1st attempt on his test so he could grade it and go to bed. It still blows me away that he cared enough to call. juice experiment was a mess. My mother said that her kitchen would never be the same. 8. What kind of mood are you in right now, and why? Sleepy and tired and sore. I have a kidney stone and a gallbladder stone. 12. Is there anything else you would like to share about yourself? (your town, family, goals, any "shout-outs" to anyone?) 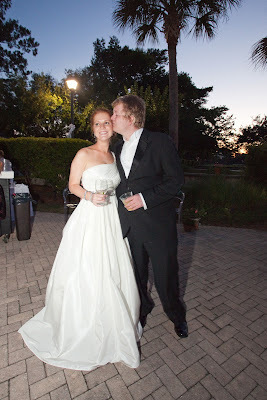 My sister, Brittany, was recently married. I am attaching a picture of me with her at her reception. She is my inspiration. If you are taking an online college course, chances are you will have to take a proctored exam at some point. A proctored exam means that the online student must arrange to take the exam under the supervision of a designated “proctor”. Online programs often use proctored exams as a way to ensure the academic integrity of the student’s performance in the class. In eCore classes, for example, students are required to take at least one proctored exam per course. This is dependent upon the instructor, and can include the course midterm and/or the final exam. 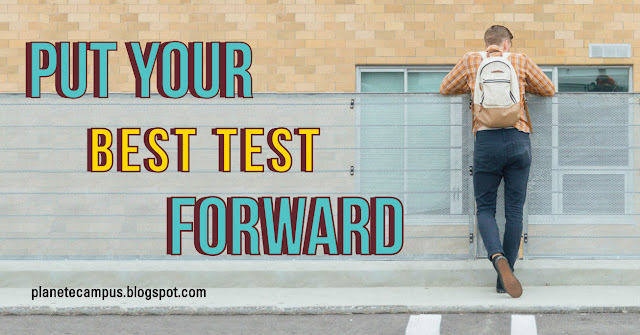 The proctored exam is a crucial part of the student’s success, and therefore there are a few things students should consider before making an appointment. 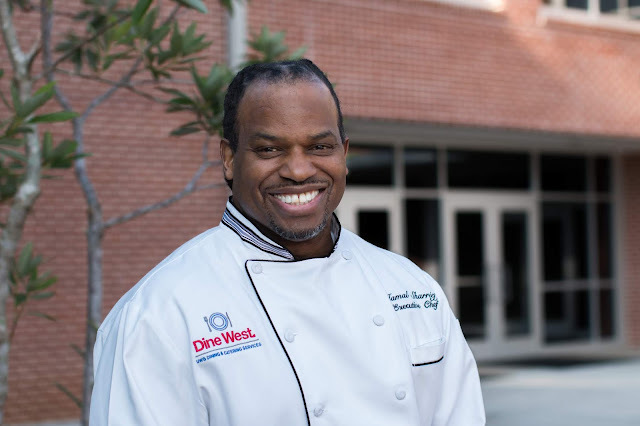 As Executive Chef for Dine West at the University of West Georgia, Jamal Sharrieff has a front row seat for the journey that is the traditional college experience. From catering new student orientations, graduations, and even alumni events, Jamal has witnessed first-hand the value of a college degree and the hard work and determination it takes to earn one. What the students at these events don't know is that they and Jamal have more in common than they may think, as he himself is a rising Junior at UWG. After coming to the University of West Georgia from New Jersey in 2016, he wasted no time at all transferring roughly 30 credit hours of previous college credit to UWG, and is currently taking a combination of online and evening courses on his way to earning a bachelor’s degree. Read more about Jamal and what inspired him to finish what he started years ago. Recently, I was included on an email chain from Dr. J. Edward Hackett regarding a grade change for one of his students. In addition to the procedural formalities, Dr. Hackett added in his message that it was a "total comeback. If you do see her, then tell her I am immensely proud of her." As adult students, life can sometimes get in the way of academics. Families grow, job responsibilities change, unexpected events pop up, etc., etc. In these situations, we understand that the support and encouragement of a caring online instructor can make the difference between success and failure for the student. 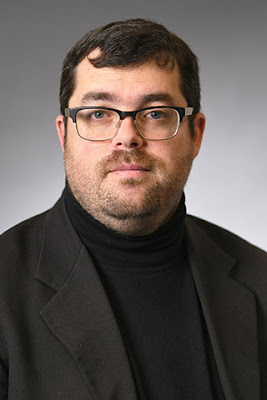 Take a minute to learn a little more about Dr. Hackett, one of those caring online instructors that believes in his students even when they don't believe in themselves.